Thanks to everyone that braved the chilly evening to come along to Envato in Melbourne for one of their #Envatotalks events. The topic for this event was “Learning SEO”. It was a diverse mix of people, you always end up putting a face to someone you’ve only interacted with online. The questions were challenging, many of the attendees were quite experienced that kept things interesting. As promised, you can find my slide deck below. The slides were kept brief, so there aren’t many slides. If anyone has any questions in particular, feel free to get in touch. 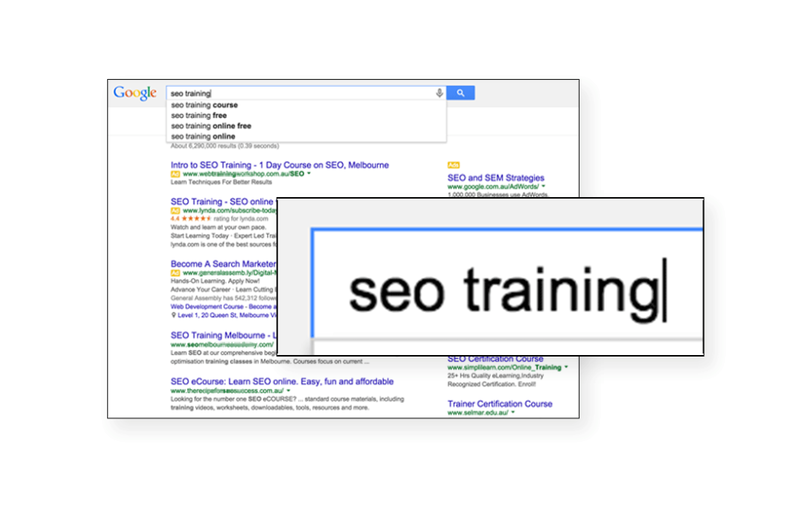 Or even better, come along to the Melbourne SEO Meetup. The event was aimed at delivering practical SEO advice for people, in an informal panel setting with Saijo George, David Jenyns and myself. Venessa Paech was MC for the evening, which was also very cool. I’m a long time fan of Vanessa, especially her work as founder of Swarm. A huge thanks to Jane and the Envato team for hosting the event, it couldn’t have gone smoother. 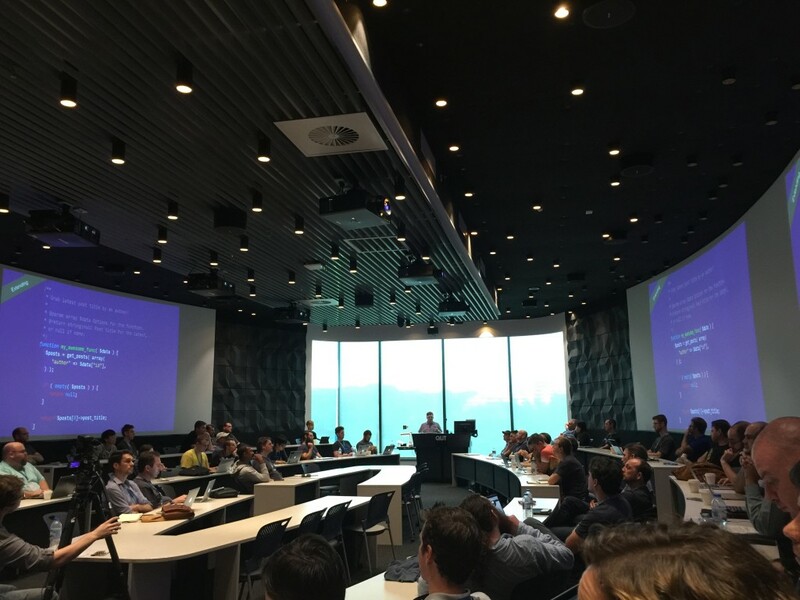 WordPress Developers and Users came together at the Queensland University of Technology, for the first WordCamp held in Brisbane, Australia. 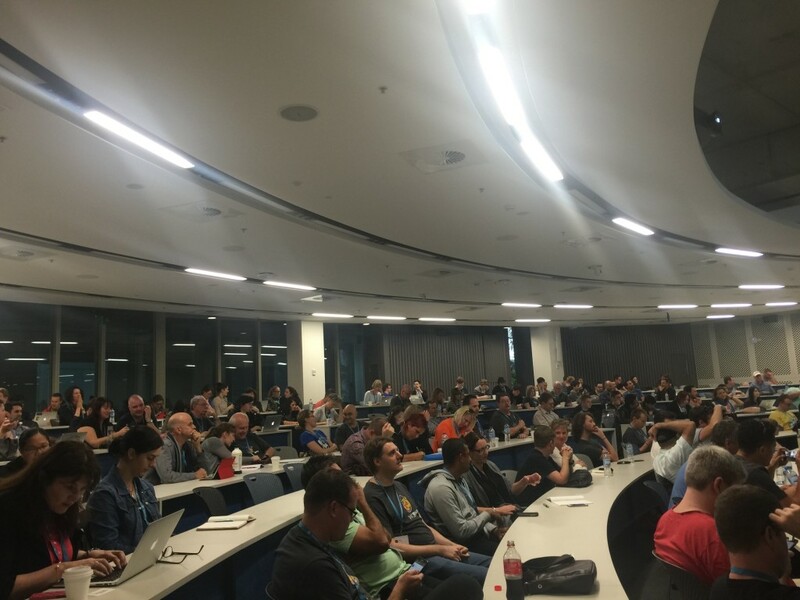 Previously, WordCamps have taken place in Sydney, Melbourne and the Gold Coast. 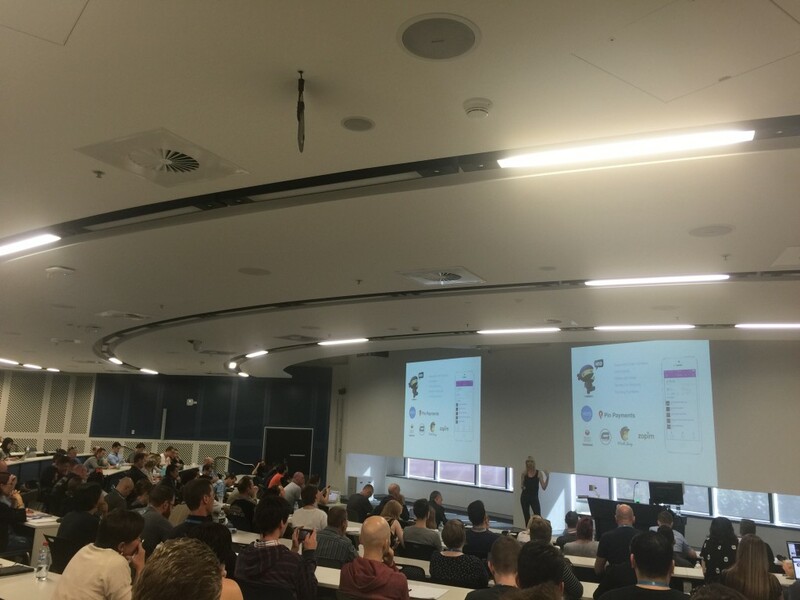 WordCamp Brisbane took place on May 30-31 with 260+ WordPress professionals and enthusiasts were in attendance. I’ll update and polish this page throughout the next few days. A massive thanks to all of the attendees who’ve been tweeting and taking pics, making updating this page much easier! If I’ve missed anything, please get in touch and I’ll update it. 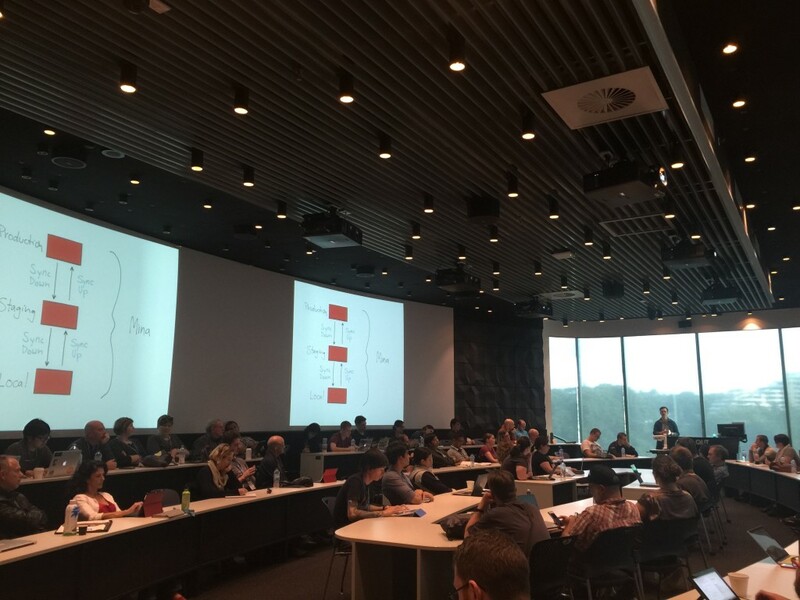 If you want follow along on Twitter, check out #wcbne. You can also find the official conference schedule here. Troy started his keynote talk by giving an example of a typical day of life in 2105, highlighting all of the goods and services we’re using on a daily basis, that are all based on a subscription model. 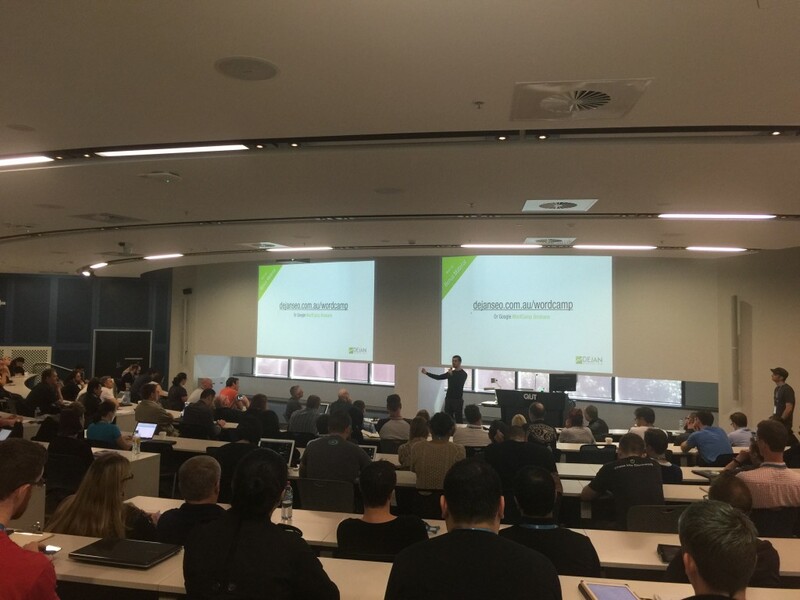 #wcbne @troydean: In most of your businesses right now there are opportunities for recurring revenue that you may be missing. Dan jumped into a few detailed examples of some of the experiments he’s tested, with some interesting data. Dan has published his slides ahead of time. Dan mentioned some of his own tools, including Algoroo, Fresh Link Finder and PhraseResearch.com. He also mentioned the spooky email app Crystal. Jen started off by explaining the backstory to her ecommerce business called CoffeeBeandsDelivered.com.au. She talked about how SEO and SEM were an integral part of their strategy from day one. Marketing played a big part of their plan which resulted in excellent organic results. Their team initially worked on user personas, which ties into the Troy’s keynote – knowing your audience/customers. Jen stressed the importance of high quality photography and branding. A good budget for photography is essential, for ecommerce it’s a very big part of the site. Peter’s talk was aimed at code you can upload, that is – the front end. An interesting comment Peter made towards of the end of his talk was that he discovered many of his performance gains because he was curious. Again, it’s another common theme of the day. Wil started off his talk by asking how many attendees were here for their first WordCamp, out of a packed room, it was overwhelmingly the majority. This is cool and demonstrates that not only is the community very much active, but clearly growing. He brilliantly covered the basics of plugin file/folder structure, how WordPress and plugins work, hooks (actions and filters), priorities and much more good stuff. Will walked through how his plugin works, stepping through the major features. I’ve been to a few plugin development talks, Wil’s was the clearest and most well explained I’ve seen to date. How to get visitors marketing Tropical North Queensland with us. over 15 years experience in marketing and tourism. Director of Content, Tropical North Queensland. Driving organisations to promote tourism in general. Improved instagram following 450%. Kate Duffy. Main aim of talk is to help you with ideas for getting more people to work with you to achieve your goal. With limited budget compared to other organisations like Tourism Australia – have to think about more guerilla marketing approaches. Aware of brand > On future General List > On serious Consideration List > Planning a Purchase > Buy – moving consumers down funnel to purchasing. Social media greases the wheel on path to purchase – share their holiday experiences. Tourism very visual, built templates that were photo driven. Full width gallery. Do lots with Instagram, post where we could repurpose instagram photos. Video template. Text heavy template. Use other people to help on blog, have a writer and contributors. Developed an editorial style guide, consistent tone of voice and tone of brand. Editorial calendar to share with team, plot out stories, identify the traveller type we’re targeting, make sure coverage on topics (e.g not all on Port Douglas) and status where the story is at. We do the final publish of the post, check and make sure what we want. Social calendar – use google docs for the calendars – plot out ahead each month different content ideas we have – preplanning posts – being timely when things are happening in the world – enter conversations happening online. “Make our advocates the hero” 99.9% of the content we share is content we’ve created by our advocates. Guest blogger at Tropical North Queensland – Alyssa_Adventuring – not paying them but providing a platform for them to share their blog and then I’m leveraging their audiences. Not paying them. Feature our industry members – they then talk and share. Rainforests 50 shades of Green – timely – 50 shades of grey – got creative. We’re timely with our content. We published post about the whales are coming – thinking ahead of time that you can have content ready that’s timed when things are happening in the world. You can then be there as a brand. Driving content efficiencies – under resourced – understaffed – we turn the instagram content into ever green blog posts. “Listen. Be Human. Be Helpful.” – This is what I recommend you do when it comes to Social Media. Activate people to market for us. Blog performance so far – 209% increase in unique visits from March to April. 7 road trips you don’t want to miss > got picked up and put in newspaper. -Creating a platform that offers mutual benefit is highly effective. – Consider content curation over content creation – there are people out there who are better writers than me. – Use the data from social and search to inform the new content. – WordPress has upskilled our entire organisation. – Get people talking and they’ll do the marketing for you. Kate used to work with Tourism Canada – use to have problem with clubbing seals and people would hijack hashtag – not much you can do but reply with facts. Community of supporters – silenced those who were hijacking the hashtag. If you’re trying to build community – the positive community will support you. Japh started off by describing a familiar scenario – a process most developers go through – the discovery and experimentation in search of the ideal development environment. Virtualisation is where most people end up. For WordPress developers, this is likely one of four options: Vanilla, Bedrock, VVV and Chassis. Japh then ran through starting off a new project in a very user friendly manner. He also covered a typical workflow in detail. Helena started off by explaining the benefits of moving to an online course, it allows you to help more people. (1) Planning. Assess the market, survey your clients, look for problems. Assess your strength and the things you like to do. Do something that you know how to do. It’s easier to get started with your skills then to try bring other people in. Have a look at what your current clients are raving about in their work with you. Get clients to give you feedback and testimonials. What things they see in you? What do you feel comes easy to you? What do you enjoy? Then find an overlap between what you love and what the market needs. (2) Packaging. Work out what is your minimum viable product. What outcomes are essential? Smaller scope will allow you to get it out faster. It took us 2 years of thinking. When we got out was minimum viable product and we kicked ourselves thinking why didn’t we do this sooner. You can always add content later. Create a course outline, dot points, modules and lessons. The objectives and outcomes that people want. Break it down into logical modules so there is good flow. Break the modules down into lessons that are bite size pieces for people to consume. (3) Delivery Strategy. Live webinars vs pre-recorded. Do you want interactivity? What are you more comfortable with? Launch vs evergreen. Content available all at once vs dripped. Dripped gives you more time to create. All at once gives you more flexibility for clients to work around. It can be a case of people getting overwhelmed. (4) Platform. Auto-responders. These are simple, cheap and quick. However it is less flexible and there is no ongoing central access. Next option is Membership site. It’s flexible and professional. Their membership hub to access all of their content for as long as give access for. Hosted LMS (learning management system) behaves like an online university. More focussed. Quizzes and polls. Restrict access to next module to help you know they’re on track. It’s more expensive. Generally locked in to that platform if you outgrow or becomes too expensive. (5) Make it happen. It’s not real until you announce it. Accountability buddies. Set a date. It won’t happen if you don’t dive in. Just do it. Steven delivered an entertaining talk on APIs. He first explained a sample PayPal payment transaction using the PayPal API, then jumped into how this would work using WordPress. Steven then gave some examples of tokenised payments and gave an overview of the Braintree v.zero payment API. I should probably mention at this stage, that the entire talk was delivered using animated 8bit artwork that he created himself. It’s hard to explain it without actually seeing it, but hopefully this gives you an idea. Dee starts by telling the room this is a ‘learn by my mistakes’ approach. Have a plan – work out how you’re going to manage – maybe part time to help you along the way. I might have taken the safe option if I had done that. Work from home or office. Cafe. Keeping a line between worklife and homelife. Difficulty keeping focus. Work stays at work and home at home. Dedicate a workspace. Probably not in front of the TV. Unless it’s turned off. Dress for work – changes your mindset. But not in your pyjamas. Keep your desk tidy. “Out of clutter, find simplicity” – Albert Einstien. Make your bed. Yes, I’m aware I sound like mother right now. Have a change of scene and a coffee from time to time. Or co-working space. Have set office hours. I like work. Have a plan for your week. Planning is important. Setting some goals. Track your time. Keep accountable. Work out where you could save time. Time out. Taking a break gives you time to recharge. Don’t feel guilty when you do. Take time to spend with friends. Physical and emotional wellbeing. Structures in place so you don’t. Sit pretty. Have a decent workspace. Setup your workspace to look after your body. Set boundaries. Let your ‘yes’ mean ‘yes’. Let your ‘no’ mean ‘no’. Don’t answer phone after hours. Clients will take as much as you give them. If they know you don’t stop working they will exploit this. Embrace the business side of things or contract someone to do this. Don’t let the book keeping get away from you. Set aside your tax. Transfer 25% of your earnings into that. Get access to your online accounts so you can see what’s owed. You can see GST. See your income tax account. Play to your strengths. Staff your weaknesses. Plan for your next gig. Freelancing can be feast or famine. Don’t forget to keep an eye on what’s next. Find your point of difference. Know what you bring to the table. Keep developing. Go to meetups. Keep up to date with what’s going on in your community. Learn new things. Get creative. It will increase what you can offer and what you can charge. Keep connecting. Forums. Skype. Slack. Find the bits that are giving your stress. Work out way to fix. Kristen shared some handy and little-known features for WordPress developers, she has published her slides and screencasts, check them out – they’re awesome! Global Accessibility Day – Try going mouse-less for an hour, try and screenreader, use YouTube captions. 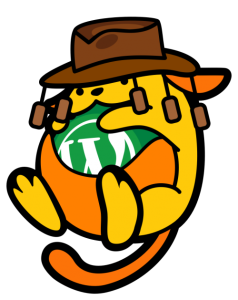 Charlie talked about the areas that WordPress developers should look into. If you’re going to install one plugin, use WP Accessibility Plugin. It adds skip links, more keyboard friendly, high contrast and much more. There was then a great explanation on CAPTCHAs and the common problems with using them. Honeypot – Supported by Gravity Forms, Formidable etc. A case study mentioned was Telstra has removed all CAPTCHAs from their site a few years ago. Straight out of the box the default themes pretty good. You’ll probably find at some point client wants different fonts or colours etc. – copy of the original theme – make another folder which becomes a copy of the original theme. The changes stay in that part of the theme and if you upgrade the original part of the theme it won’t break. The next step is to create your stylesheet (style.css). Then copy the header (label that child). Template line corresponds to the directory name of the parent theme. The only required child theme file is style.css but functions.php is necessary to enqueue styles correctly. Final step is to enqueue the parent and child theme stylesheets. (script shown). Inspect element to view the HTML or CSS. There is a W3schools – spend weekend doing their online course for learning CSS. Good place to start to learn how to customise your theme. Allows you to make changes within the browser. Try before you buy. You can’t break anything. Hit refresh and back to normal. If you’re too scared play around with code – it’s like a sandbox. If it works then you just copy and paste into the code and you’ve changed your website. Use to upload changed data. I use notepad++ it’s free. There are so many out there. Google Code Editor. Primal. Most are free try a few. Like a notepad. You can use Notepad++ – just an advanced version of Notepad. Rename and then upload to website and you’re done. Some of code editors now colour code and give you tips. Find one that you like. Not the wrong way but easy way. WordPress appearance editor (access via backend of WordPress – brings up files with the current theme). If you don’t want to get that far into it, not a coder. Go into Google find code. Learn the basics HTML and CSS. A little PHP doesn’t hurt either. Find the tools that work for you. Try a few and see which ones are your best fit. Google is your friend. Don’t try and reinvent the wheel. Someone has probably already done it. Don’t be afraid to play (especially if not live site). If it is a live site use browser tools. Jamie gave an excellent explanation of WP-CLI, demonstrating how it can be used with a few live demos. He also walked though, and shared, the following shell scripts that sets up a new local environment, install plugins and then install and configure WooCommerce. Process and how you can immerse yourself in it. Immediate response to clients brief. I like paper and pencil so you can draw something for anything and do quickly. Take notes. I take copious amounts of notes, too many notebooks. I design for the desktop version first because it’s always nice to start wild idea of what something could be. The dream aversion. “Modern design is… binning bad ideas quickly. Try to be the client and nit pick the design. Get different viewpoints. Response to finishing the discovery phase. You have most of details sorted. Work in the intended environment. Clients expect visual mockups. It’s ok to do in the browser. Designing in browser is quicker. Move time from photoshop to the environment. Client can interact with it from beginning. Mockups don’t give same impact with animations etc. User experience is above all else. Decide where you want break points. Because you start in the browser it’s a real life version of the wordpress. Call it ‘rapid prototyping’ in the startup industry. Build first version quickly. Stops you rolling out huge changes without testing and feedback. Iterate to improve. It won’t be pretty. Hamburger menu is absolutely useless. That’s not the navigation to a normal person. Assumption is that do once. Constantly revisit. Really important to create great relationships. Up to us to educate them why they need to continue to invest and improve. Don’t be scared of being a bad designer. Refine ideas in their intended environment. Build for the bare min first. Get first version out quickly. Use testing and data to improve over time. Create great relationships with your clients. MODERN DESIGN IS PROCESS NOT PRODUCT. Ryan is one of the lead developers on the WordPress REST API project. He discussed the difference between the XML-RPC and REST API, as well explained a few of the other WordPress APIs. Some example of popular platforms that use REST APIs heavily: Stripe, Twitter, GitHub. Contributor numbers are constantly increasing, currently at 53. Pull marketing. Rather than push. You can start doing it yourself if you don’t have budget to pay for blogging. Allows you to engage with your customers, to be seen as human not a machine. People remember stories more than data or graph. eBooks are great example of content marketing. Double click through rate than those advertising webinars. Target certain customers for certain topics. I’d rather buy things when I’m looking for them. So I can make an informed choice. Most people are doing their research online first. I want content when I want it. I’ll look it up myself. I don’t need a sprooker in shopping centre yelling at me. Specific. Writing style. Short. Publish a study. Repackage. Other content. Link roundups. Write lists, people love lists. – What are customers asking? – What are your staff asking? Comment on news. News research. Update your own content. People will see you as an expert. Links to evidence based research. It shows your clients you’re keeping up to date with things. Starting off strong. Keep going strong. Work with experts. It is not a plan. Strategy for your clients. Your plan tells you how to do that, how to execute. Calendar. Lead and share responsibly. Good content = be human – you are not writing for your boss. Content strategy templates – kevinpnichols.com – Content Marekting Institute. Simple online image editing: bonanza; picmonkey; lunapic. Be content with your content. It’s aways going to be evolving. Anthony started off by listing the various membership platforms. A few minutes into his talk, he asked how many people in the room have used WooCommerce – it was nearly everyone in the room. I know it’s a WordCamp so you’d expect high usage, but it’s indicative of the rise of WooCommerce. Anthony then jumped into configuring WooCommerce for a membership site, making note of a few of the gotchas. He then jumped into how to set up ‘Groups’, which sets the foundation for your membership system. Subscriptions by Prospress and Groups for WooCommerce bring more powerful options for subscription services and linking to your WooCommerce groups respectively. You can get a copy of Warren’s slides here. As the final session of the weekend, there was an open panel discussing the mobile web and the future of mobile technology. It was clear straight out of the gates that mobile is core to what most of us are doing and working on. Ryan made a good comment about trying to educate clients that their “website isn’t a special flower” and an app might not be the best idea. Apps are great, but for most users, apps can add friction. Especially for a one-off transaction (or two or three). The slides contain most of the main resources I covered. It starts of with the basics, references some of the more popular themes frameworks, commercial themes and starter themes, then talks about some handy tools and places to find more information.